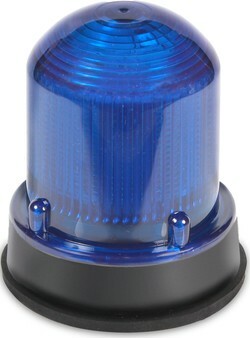 The Edwards 125 Class Standard LED beacons are UL and cUL listed signaling appliances. 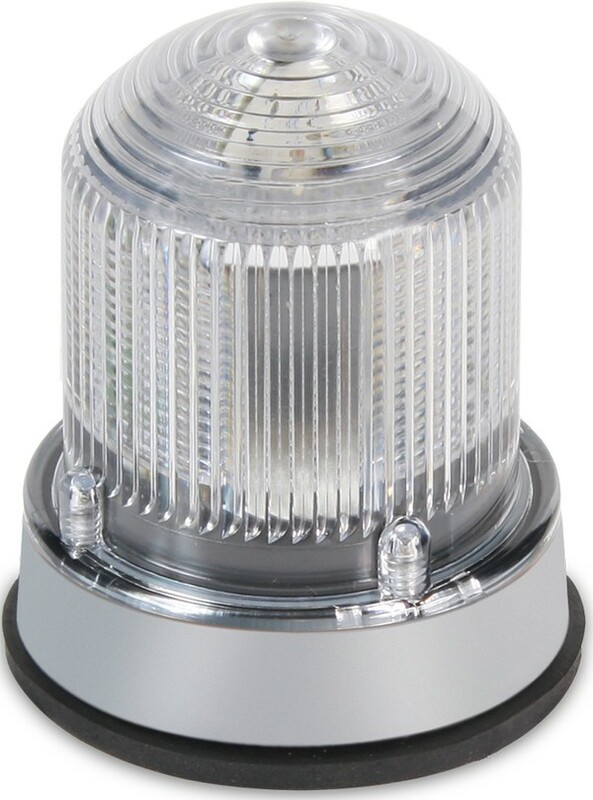 Two versions of 125 Class Standard LED Beacons are available: Flashing 65 FPM (125LEDF) and Steady-On (125LEDS). Both versions feature a corrosion resistant Type 4X enclosure and can be panel or conduit mounted. The base is manufactured from a 33% glass filled nylon, providing high resistance to heat and high chemical resistivity. The lens is made of shatter resistant polycarbonate. Both the Flashing LED and Steady-On LED beacons are available with either a black or gray base, and amber, blue, green or red lens. 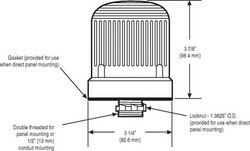 The 125 Class Standard LED beacons can be mounted on 1/2" or 3/4" NPT conduit using a 1/2" internal or 3/4" external conduit hub that comes with the unit. It can also be panel mounted using the mounting gasket provided with the unit. 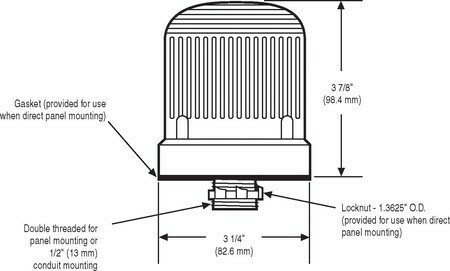 When panel mounting the 125 Class Standard LED, the surface and construction details of the panel must be taken into consideration to ensure the integrity of the outdoor, NEMA 4X rating is fully maintained.